The plant got its nickname because at 44 inches tall it is smaller than a typical corpse flower, according to the Huntington. 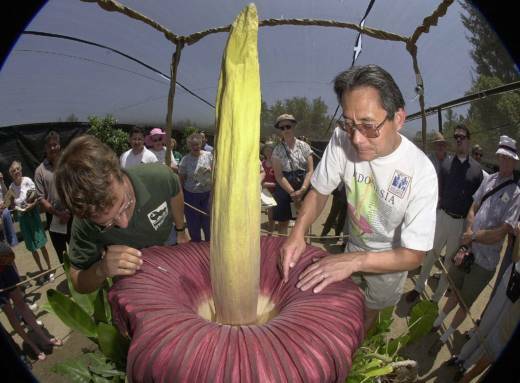 It is the sixth corpse flower to date at the institution in suburban San Marino. The previous bloom on Aug. 23, 2014, reached a height of 66 inches.